The Post traveled on the Kayla Rae Cellars Wine Lovers Cruise, in May 2015. This photo was taken in Victoria, British Columbia, when returning from Butchart Gardens on the last night of their cruise. 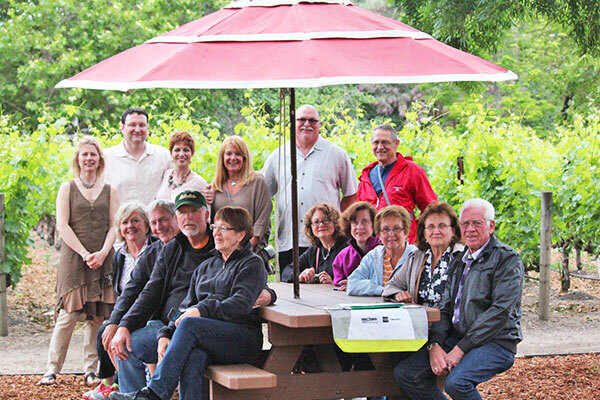 The 17 cruisers enjoyed special amenities, which included a custom private group tour and tastings in Napa Valley, CA, hosted by Karen Grossman, owner of Kayla Rae Cellars, of Rockford, and a specialty wine-paired dinner on board the Jewel of the Seas. 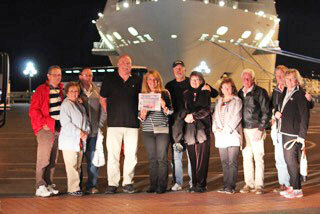 Cruise Planners of Cedar Springs designed and planned the group’s cruise. Cheers! Thanks for taking us with you on the cruise!